Movie Maker delivers the best to celebrate the art and technique of movie making. 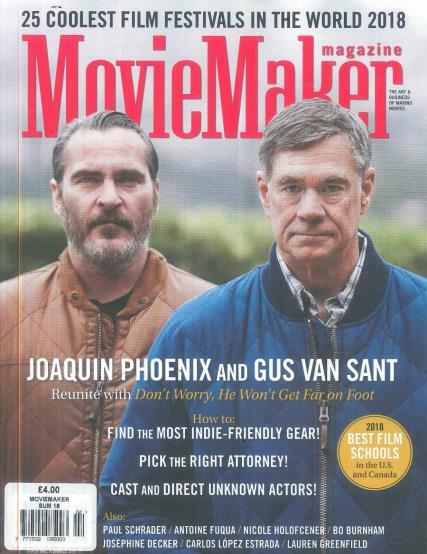 Buy a single copy or subscription to Movie Maker magazine. The magazine would essentially have the updates on latest happenings in the industry plus the details of upcoming festivals and events. The magazine provides an interesting and most relevant read to its readers as it categorically has different features on different aspects of movie making like acting, writing, choreography, editing, directing, producing etc. If you are an aspiring movie maker, the magazine can guide you through its listing of top education provider of the audacious profession called movie making. It also keeps you updated on the future of movie making by latest development and invention in the industry and brings you reviews of the latest gadgets and equipments launched in the market.